The JHS is the largest single-site, community-based epidemiologic investigation of environmental and genetic factors associated with cardiovascular disease among African Americans ever undertaken. and funded by the National Heart, Lung and Blood Institute (NHLBI) and the National Institute on Minority Health and Health Disparities (NIMHD). 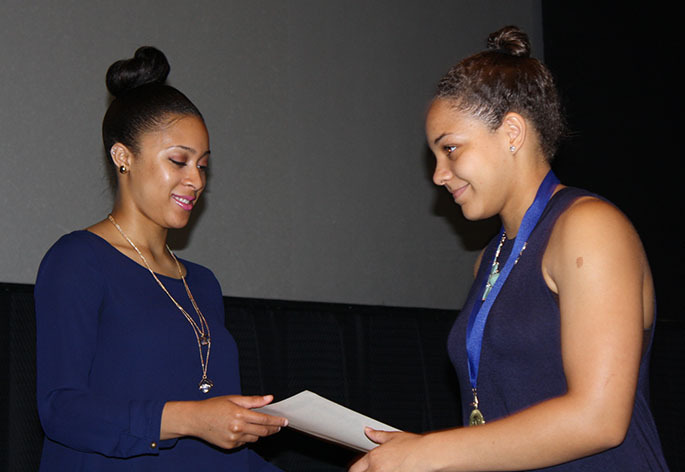 In addition, the JHS conducts community education and outreach activities to promote healthy lifestyles and reduce disease risk burden, undergraduate- and graduate-level research training programs, and high school science and math enrichment programs to prepare and encourage underrepresented minority students to pursue biomedical careers. The Jackson Heart Study is supported by the National Heart, Lung, and Blood Institute (NHLBI) and the National Institute on Minority Health and Health Disparities (NIMHD) of the National Institutes of Health under award numbers HSN268201800010I, HHSN268201800011I and HHSN268201800012I,HHSN268201800013I, HHSN268201800014I, HHSN268201800015I. Planning to submit RO1 proposals with direct cost of $500K or more in any one year? Relates to the study of cardiovascular disease. Your voice will influence future program directions at the NHLBI. Are you a researcher ? get our data. use our data. 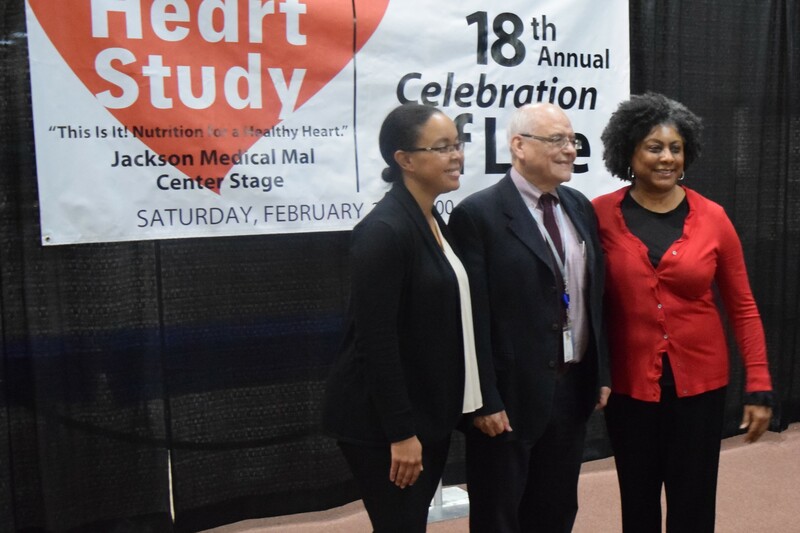 The Jackson Heart Study is a community-based cohort study evaluating the etiology of cardiovascular, renal, and respiratory diseases among African Americans residing in the three counties (Hinds, Madison, and Rankin) that make up the Jackson, Mississippi metropolitan area. Data and biologic materials have been collected from 5306 participants, including a nested family cohort of 1498 members of 264 families. The age at enrollment for the unrelated cohort was 35-84 years; the family cohort included related individuals >21 years old. Participants provided extensive medical and social history and had an array of physical and biochemical measurements and diagnostic procedures during a baseline examination (2000-2004) and two follow-up examinations (2005-2008 and 2009-2012). Samples for genomic DNA were collected during the first two examinations. Annual follow-up interviews and cohort surveillance are ongoing, and preparations for a fourth examination are in progress. 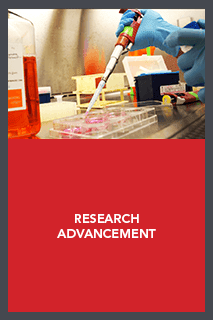 In addition to independent investigator-initiated collaborations that may or may not involve multiple sites or cohorts, the Jackson Heart Study (JHS) is participating in several multi-site and cross-cohort collaborations, including JHS Vanguard Centers, JHS Working Groups, the American Heart Association Cardiovascular Genome Phenome Study (AHA CVGPS), and NHLBI Trans Omics for Precision Medicine (TOPMed) whole genome sequencing project. An ancillary study is an investigation which is not part of the Jackson Heart Study (JHS) protocol but uses all or a subgroup of the JHS cohort, samples, or data collected by the JHS. In most cases, an ancillary study will involve the acquisition of additional interviews; examinations of study participants; analysis of blood, urine, tissue or other samples; or images previously collected which are not compiled as part of the standard JHS data set. 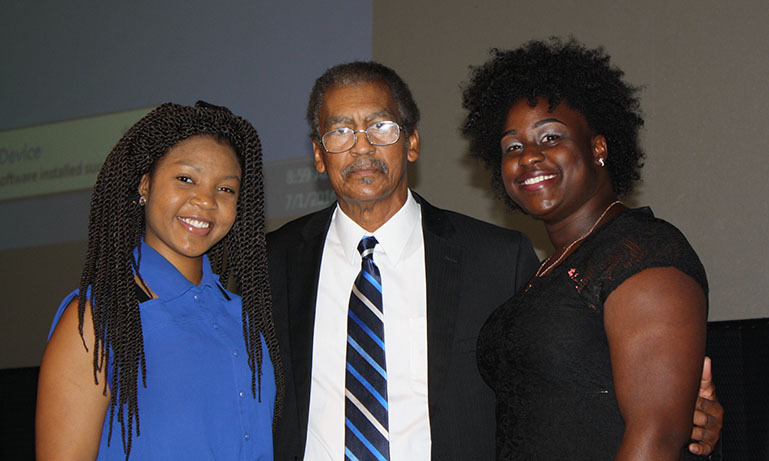 The Jackson Heart Study Graduate Training and Education Center (JHS GTEC) at Jackson State University is a new Center awarded for five years, effective August 16, 2013. 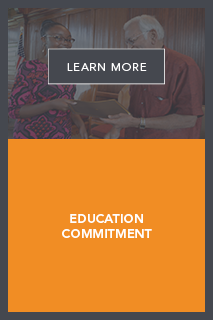 It is designed to contribute to building evidence-based approaches to training graduate students in the social, behavioral, and medical sciences to implement a robust education training program. • Provide a strategy and infrastructure for delivering timely, evidence-based health information in general and heart disease risk reduction information in particular—especially findings from JHS and other CVD related research.  • Conduct evidence-based health education programming throughout the JHS area that serves to address heart disease risk factor reduction in African Americans. 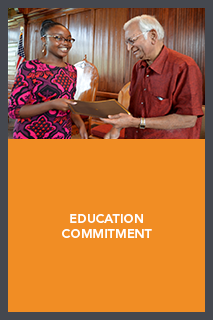 • Establish strategic local, state, and national partnerships that broaden the reach of the JHS. 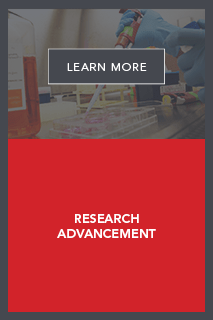 • Perform community-based pilot research studies or demonstration projects for CVD risk reduction that, if successful, can be scalable to larger efforts. • Publish results and impact of CEC’s work. 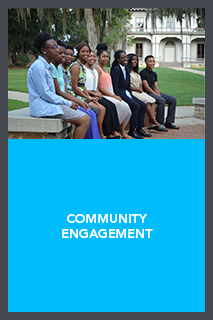 Jackson State University was recently awarded a five year contract to implement the Jackson Heart Study (JHS) Community Outreach Center (CORC). The contract period is from 8/16/2013-8/15/2014 for a total amount of 3,086,081. 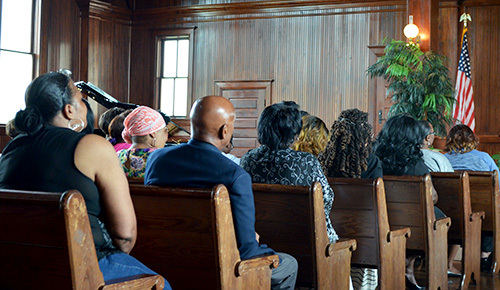 The CORC is an expansion of the highly successful operation of the Community Partnership Office (CPO), in the Jackson State University Coordinating Center, which operated from 1999-2013. 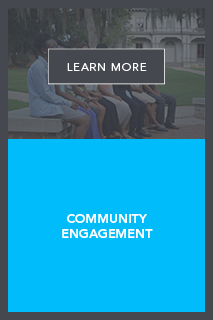 During the era of the CPO, relationships and partnerships were developed with over 100 churches, community based organizations, governmental agencies, private non-profit organizations, other institutions of higher learning and individual partners. A community based participatory research (CBPR) component has been added under this new contract period.